Hello Hat Lovers! Today I have an article related to Pokemon but not to the TCG. The official rules for VGC 2014 have been announced which means we have an official format to follow. The official rules are similar to those of VGC 2013, except now you may only use Pokemon that are in the Kalos Pokedex, as well as originating from Pokemon X & Y. 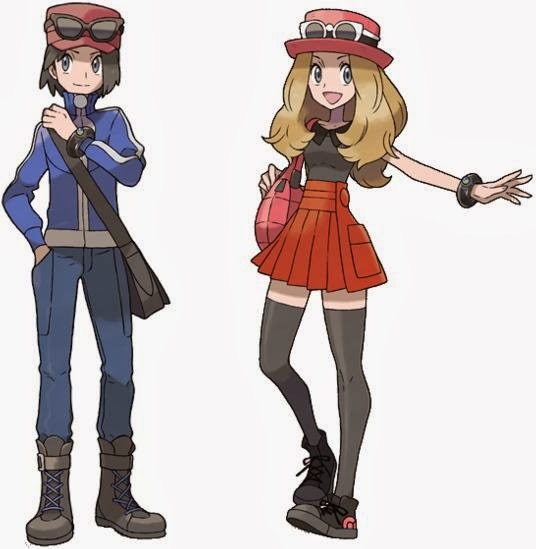 This means everything from your generation 5 games are reduced to breeding partners and a number of popular Pokemon are banned this season. These rules are similar to the VGC 2011 ruleset, except we’re not restricted to only using Generation 5 Pokemon, instead we have 450 of the 718 Pokemon at our disposal. Back in the day I hated VGC 2011 for being incredibly centralized around a few Pokemon. Gen 5 added 158 new Pokemon and those were all we had to play with. Having 3 times as many Pokemon should prevent this from being an issue. Another important note is that all legendaries outside Articuno, Zapdos, and Moltres are banned, meaning you won’t see every team carry genies and Cresselia. The game will still centralize around the best Pokemon, but now they won’t be legendaries, which some will rejoice over. There are some downsides to this ruleset. Plenty of Pokemon that players were fond of are no longer allowed, such as me and Mark’s personal favourite, Togekiss. Another downfall is that there isn’t an option to battle online in-game with this restriction, making it harder for players too test their teams without resorting too simulators. For the first time on this blog I have a VGC team analysis. I’ve been putting this team together over the last week. To my delight all of the Pokemon on my team are found in Kalos, so this team will be legal for VGC 2014. This team will be recognized as a rain team, a popular strategy and one of the few archetype teams in VGC. Before I talk about the team I need to talk about Rain teams this generation. In the last generation weather induced by abilities lasted for the rest of the battle unless another weather replaced it. Now these abilities only last for 5 turns, which reduces their power. I have to say I love this change. Last season Rain was the strategy with the highest power / skill ratio in all of Pokemon. This meant that a new player can pick up a Politoed and a Kingdra and smash through even veteran players that hadn’t prepared to deal with boosted water moves and Draco Meteors from incredibly fast Pokemon. While these strategies are good for the game because they let new players win games without needing the skill veterans have or a massive amount of luck, this one was a tad overpowered even though it could be countered fairly easily. Reducing the amount of turns of rain means a player only gets 5 turns of advantage reduces the overwhelming power gained from sending out a Politoed against a player that couldn’t change the weather. This forces the rain user to keep their Politoed alive even after setting up rain and removing the opponent’s counter-weather Pokemon. This format for each Pokemon is the same as the format used for Pokemon Showdown files. You can copy the text for a Pokemon and import it into Showdown’s team builder. 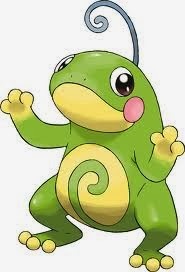 Politoed is a staple for all rain teams because of its ability Drizzle. Drizzle now only grants 5 turns of weather on its own, however the Damp Rock will boost the amount of turns to 8. This means that while rain isn’t indefinite anymore it will be around long enough to do its job. With the HP and Sp.Def investment Politoed survives a Thunderbolt from Modest Mega-Manectric, Thunder from Timid Mega-Manectric, and Solarbeam from Mega-Charizard-Y. The Defence allows Politoed to survive any attack from Mega-Mawile (even a critical hit Play Rough doesn’t guarantee the KO), and won’t be 2HKO’d after an Intimidate drop. The remaining points were put into Sp.Atk, which gives Politoed enough to OHKO Salamence with Ice Beam. For moves I chose Scald over Hydro Pump for the reliable accuracy and a high burn chance, which cripples a large majority of the metagame. Without Icy Wind available for speed control I chose Ice Beam for the higher damage output. Toxic is almost a filler move, but deals with players that try to make an “invincible” Pokemon by boosting its defences and/or evasion. Protect is standard for VGC Pokemon, and Politoed is a Pokemon the opponent will want to KO. The EVs put Kingdra’s HP at 171, allowing Kingdra to use Life Orb attacks 11 times instead of 10. Kingdra out-speeds everything in rain outside other Swift Swimmers and Pokemon under Tailwind. On top of this Kingdra’s Special attack is maximized. This Kingdra survives Garchomp’s Dragon Claw. Scald will hit individual targets harder than Muddy Water ever did, without worrying about missing. Dragon Pulse isn’t nearly as strong as Draco Meteor but it doesn’t reduce Kingdra’s power and also has perfect accuracy. Disable is a neat move I’ve been trying out. The idea is too Protect Kingdra and then Disable the move the opponent used on it if you can’t KO the opponent. Another popular (yet optional) component of a generic rain team is an Electric type that can spam Thunder. Manectric is a neat Pokemon because its Mega-Evolution gives it access to a second ability. Base Manectric has Lightning Rod which protects the team from electric attacks and can net it a boost if you switch it into one. 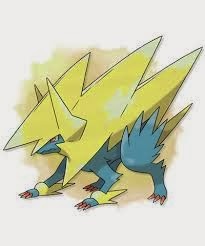 As Mega-Manectric it gains the ability Intimidate. This ability reduces the foe’s attack upon entry into battle. The EVs are a basic 252/252 spread, Special Attack and Speed are what matter to Manectric. I chose to use a Timid nature so that Manectric out-speeds Jolly Garchomp and can Volt Switch before Earthquake goes off. Volt Switch gets Manectric out of battle and allows for some neat plays. With it I can switch Politoed out and Volt Switch too it to reset rain, or send in another Intimidator. Flamethrower is there for coverage, if I see a threat like Ferrothorn I’ll try to keep Politoed out of play until I can beat it. Thunder is a secondary Electric STAB and has a nice paralysis chance. Normally I’m against using Thunder over Thunderbolt but I have Volt Switch as a perfect accuracy electric attack. away other Mega-Evolutions from the team. Mawile has been a favourite amongst some of my friends, and now its finally a top tier Pokemon due to its Mega-Evolution. Mawile fills the slot of another popular rain team mainstay, the Steel type that gets to take advantage of its Fire weakness being less of a deal. The EV spread is close to a generic 252/252 spread, but I’ve diverted some HP into some Speed for speed creeping and one point into each defence instead of one point into HP. The moves are pretty standard from what I’ve seen online. Iron Head and Play Rough are your best STAB moves while Sucker Punch helps pick off fast threats. 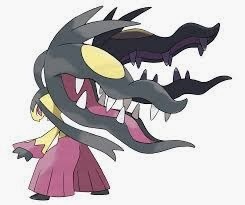 Mega-Mawile gains the ability Huge Power, which doubles it attack stat. This on top of the boosted attack from Mega-Evolution makes Mawile hit like a truck. The only downside is that Mawile is really slow, and can be KO’d or burnt before launching an attack. Bringing a Mawile to battle is also a commitment to Mega-Evolving it, which means Mawile prevents Manectric from Mega-Evolving. Since Manectric is so important to the team I haven’t found myself bringing Mawile to many battles, so it may end up being replaced by something like Scizor or Garchomp. 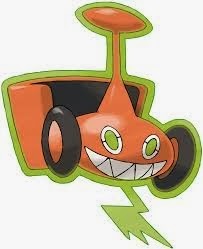 lawnmower trying to run over other Pokemon? Rotom has been one of my top 10 favourite Pokemon since Platinum came out, and Rotom-M is my favourite form. I’ve been using the Rotom-W form in the past but for this team Rotom-M is a better fit. The purpose of Rotom-M is to beat Rotom-W, a common enemy of rain teams and incredibly popular Pokemon right now. With this EV spread Leaf Storm always OHKOs Rotom-W. After that I added 36 speed to make sure I’m faster than defensive Rotom-W, as well as most things trying to speed creep Rotom-W. The rest is added to HP and defence in to make Rotom-M as bulky as possible. Having a grass attacker also helps the team deal with Gastrodon. While Rotom-M is used to handle these threats that Rotom-W would lose against, Rotom is still Rotom. Will-O-Wisp and Light Screen reduce the amount of damage my Pokemon take, making the whole team bulkier. Thunderbolt is the goto electric STAB. Given the nature of my team I may try out Volt Switch to further abuse my coming into play abilities and reset Leaf Storm drops. Wide Lens should be a Sitrus Berry, but I really don’t want to miss those Will-O-Wisp and Leaf Storm. Gyarados was the last addition too the team. For the final slot I wanted a Flying type to add another Ground immunity and a Fighting resistance. 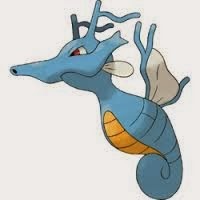 Gyarados also increases my Physical offence and works well with the team. Opponents will be hesitant to use Electric moves on Gyarados with Manectric in back. 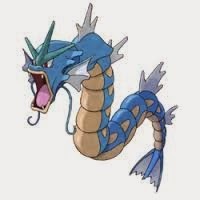 Gyarados is the only physical attacker that can be used at the same time as Mega-Manectric, and gives the team a third Intimidate user. Against teams stacked with physical attackers this team can lower their attack 3 stages on the first turn with ease. The investment was designed so that Gyarados could survive while setting up a Dragon Dance, and be faster then most threats after the first DD. I honestly don’t remember my exact train of thought when I made the spread but Gyarados has survived hits I never thought it could. Waterfall is Gyarados’ most reliable STAB, and it gets boosted by rain. Dragon Dance boosts Gyarados’ attack and speed. If you catch the opponent using Protect against Gyarados they may find themselves facing a +1/+1 Gyarados in the rain. I’m currently running Ice Fang on Gyarados because only one other Pokemon on my team is immune to Ground. Leftovers gives Gyarados more survivability. For the sake of context, my first team was Garchomp / Togekiss / Rotom-W / Scizor / Gengar / Tyranitar. Scizor, Gengar, and Tyranitar all held Mega Stones. This team covers a lot of weaknesses my first team had. The first issue I had was that a fast Pokemon with Rock Slide could tear through my team. Type wise I’m wasn’t bad against Rock but double flinches were rolled left and right. Due to Kingdra and Mega-Manectric’s blinding speed I can attack before Rock Slide users and avoid flinches. The second issue was that I relied heavily on physical attacks on my last team, with 3 / 6 of my Pokemon being physical attackers and 2 of the remaining Pokemon being support Pokemon and not having a great offensive presence. The last issue was that I relied on Will-O-Wisp as my only way to lower the opponent’s attack, whenever I faced a Mega-Mawile I’d either burn it and be fine or miss and get destroyed. This team has a plenty of Intimidating Pokemon to guarantee attack drops and my Rotom has Wide Lens to reduce the amount of Will-O-Whiffs. I’d like to write more about VGC on this blog in the future, if the readers are interested (This won’t detract from TCG articles). I enjoyed writing about the team and I hope you enjoyed it. Let me know if you’d like more articles on VGC in the future!